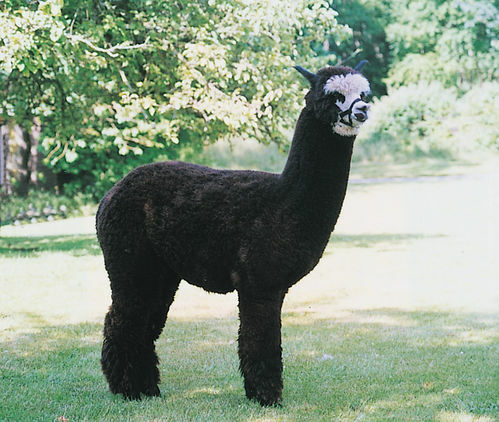 Patagonia’s Vittorio is sired by the black renowned herdsire Nishio and dam, true black Patagonia’s Querida, a 2x Color Champion with three Blue Ribbons. 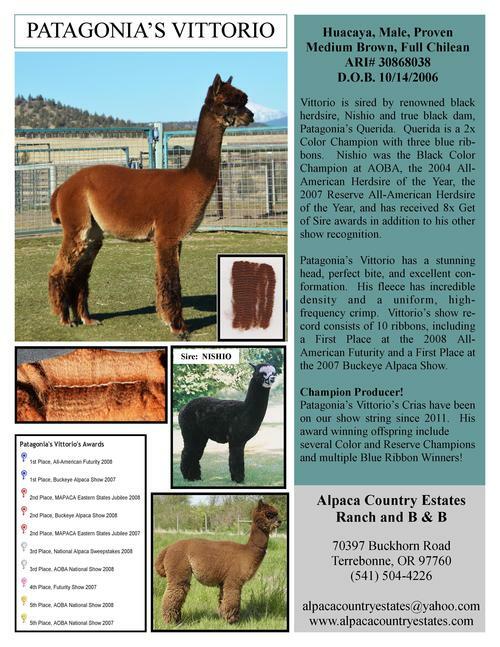 Nishio was the Black Color Champion at AOA, the 2004 All-American Herdsire of the Year and the 2007 Reserve All-American Herdsire of the Year, plus other recognition. along with receiving an amazing 8x Get of Sire awards. 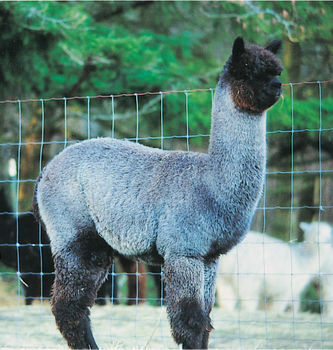 Foxtrot was bred to our fabulous herdsire, Patagonia's Lennox. Lennox's crias are spectacular. Their fleeces are fine and tend to exhibit a high frequency and uniform crimp throughout their blankets. 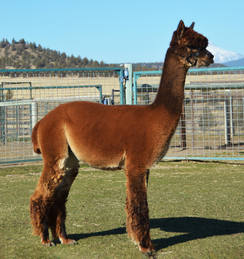 On 6/13/2015, Foxtrot had a handsome light brown male, sired by Patagonia's Lennox.